Grand Bay National Estuarine Research Reserve. 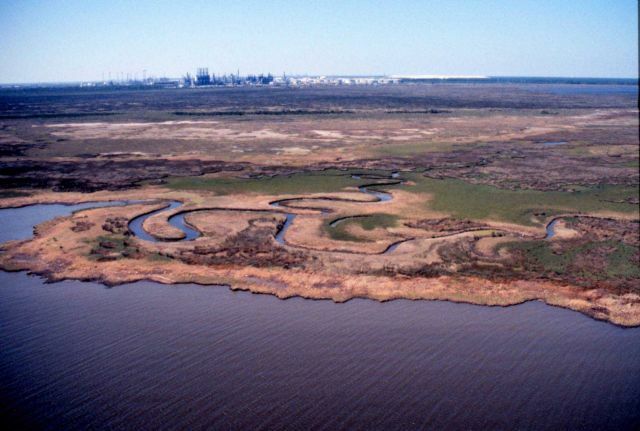 West showing erosional shoreline, tidal creek, and high-marsh, Point aux Chenes, southwestern portion of reserve. Mississippi Phosphate Company waste gypsum stack and Chevron oil refinery visible in background. LSU aerial shoreline survey of October 1998.